On Sunday I ran my first 5K. Let me repeat that: On Sunday I ran my first 5K. I know for some people 3.1 miles is a walk, er… run, in the park, but for me it's a mountain that I've climbed. For me, the girl who I don't think ever has run actually run a full mile until a couple months ago, it's huge. I remember being told to run a mile in gym class and middle school and pretending I had asthma. I also remember sneaking off and chatting about boys with my girlfriends, and then walking the whole thing while smacking gum. That is pretty much my experience with the word run and the word mile. I really do enjoy working out, and I'd say for the past 8ish years I have exercised on a semi regular basis. I can do a mean hour on the elliptical but lacing up my sneaks and going for a run just wasn't going to happen, y'all. It wasn't. Last year, a couple months postpartum and thirty pound heavier, I downloaded the Ease into 5K app and desperately wanted to make it work. I wanted the time to myself, I wanted the exercise, I wanted to set a goal and accomplish it. There was always a thought in the back of my mind that I wouldn't actually be able to do it but I tried anyway. I got two weeks in and hurt my knee pretty badly. I came home crying that night because I was so discouraged. I wanted this so badly, I wanted to learn to run, cause that's what I needed to do, learn it. I wanted to enjoy running. I don't know what gave me this desire to begin with, but I have always been fascinated with people who run for fun. So I had to stop then, and I prayed and prayed that one day I'd be able to try it again, and that the pain would go away. On March 16th I decided it was time to try it again. I started the program and never stopped. I'm praising the Lord today that I've had no pain in my knee and that He allowed me to accomplish something I wanted to so bad… I could almost taste it. I ran when it was freezing cold and I was dodging patches of ice. I ran when the wind was whipping across my face and I was asking myself WHAT ARE YOU DOING, DANIELLE!? I ran in the rain and I ran in the sunshine. I ran at 5 am and 7 pm. I ran and ran and ran. When I started the program I literally, kid you not, was out of all my breath after 45 seconds of running and the thought of running for 4 minutes straight blew my mind. I would be panting, trying to catch my breath, and praying that the Lord would give me the strength to just make it through the next running interval. And when the music stopped? Forget it. Those 3.6 seconds of no music and heavy breath and feet hitting the pavement: they were so bad. The first 2-3 weeks my legs ached and ached some more. My lady parts… excuse me… but they felt like they were going to fall out of me. And running after birthing three toddler sized children will make you wet yourself. Don't say I didn't warn you. But, somehow, I did it. I completed the program. I ran my first 3.1 miles and then did it a few more times. 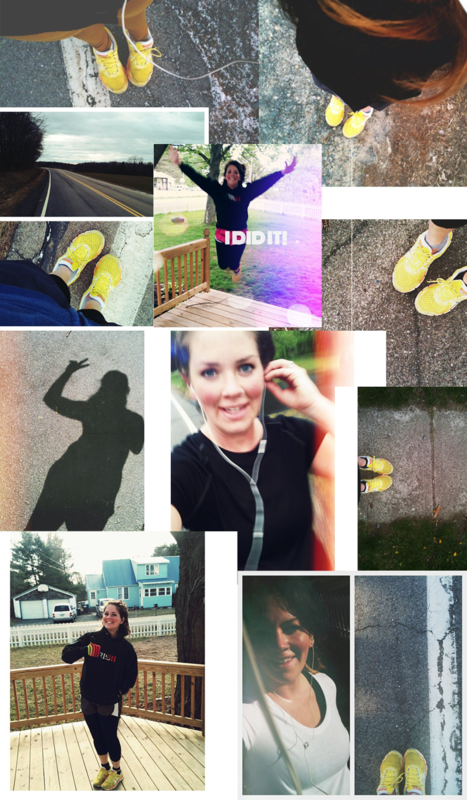 I signed up for my first 5K and took a really deep breath…. i am so proud of you! Did my first 5K at Thanksgiving, and a week later, found out I was pregnant, as I was dry heaving the ENTIRE run. Needless to say, I miss running... as soon as this little one is out, I'm back at it! you're so brave. and for real, please teach me how to do my hair like yours. go danielle!!! that is one of my bucket list items also! you are an inspiration that it is possible for us elliptical-ers haha :) praise the lord for healing your knee so that you could accomplish this goal. congratulations! I ran my first race after I had Stafford and it was great. I'm not sure if I'll ever do one again....everyone kept saying eventually I'd love it but I hated every minute of training! So much of this resonates with me. I hate running yet I want to do it so bad. I hate to sweat(sounds so funny to write that out but its true). And yet, I still want to be a runner. Oh yeah and my husband is a head track coach. So that's just salt on the wound. Good for YOU!! 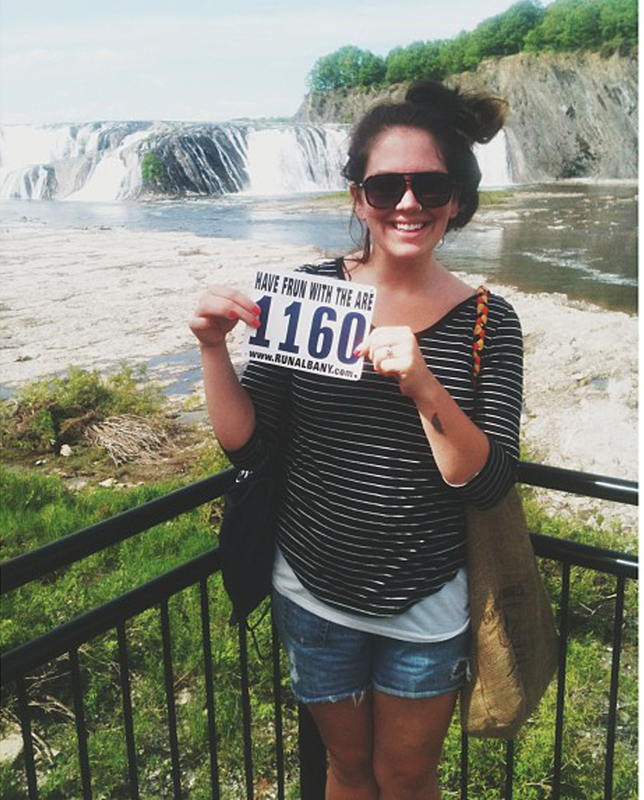 I ran long-distance in high school and wish I had never stopped. What are you doing next? A 10K? Keep going, Danielle! You are so amazing, girl!! Your background with running sounds exactly like mine and I don't think I could EVER be a runner! Maybe I can. You have given me some hope!! Keep up the awesome work!! so awesome! i started running this jan. when we started a little too fluffy! i have since run two 5k's, a 10k and am training for a half marathon (which i see in your future!!). way to go! This is awesome! Congratulations! Thanks for sharing. Very inspirational. I hope to run one day too. that's awesome congrats!! what an exciting goal to cross off! tears of joy for you. YOU inspire and encourage. i adore you and your drive to keep on keepin' on. if i was there i'd hug you and take you for cannolis. sounds just like me! The thought of running 3.1 miles freaked me out but I managed to do it last summer. Unfortunately I stopped after my race but I'm picking back up again and running a 5K in June! i am so happy i have found your blog my baby is 5 months old and i keep trying and trying to start running but get discouraged and stop. thank you for posting this and giving me motivation to try again and congrats! I'm in tears over this post - because of how incredibly awesome it is that you accomplished this (WOO HOO!) and because I can totally relate to the feeling of really wanting this. I want to learn how to run and I want to love it. I just need to start. Thanks for being such an inspiration, mama! Yay!! I'm so proud of you. I know the feeling of wanting to like to run, and to do it for fun. I ran my first 5K last month and will be running another one (The Color Run, in fact) next month. Yay for runners! I think I've come back to this post several times since you've posted it. I too struggle with knee issues. There's no telling when the aches are going to hit so I'm always super cautious on how much running I do. Even then, I end up paying for it. After reading your post, I've come to realize that I just need to pray for guidance on the matter and let God lead me down the right path. Whether I'm meant to run it out or to find an alternative. You're doing such a great job and as usual, you're continuously inspiring me to be a better Mom and person all around. Thank you!!! Congrats! I'm starting Couch to 5k for the third and final time! I'm ready to run a 5K! i am SO proud of you-- doing something just for you! I recently became addicted to running-- the time to think, the time to pray and just be-- and now i'm running my first HALF marathon in june. i think i'm slightly insane.